"Tastes just like the expensive Boursin® cheese spread you buy at the store. Reduced-fat cream cheese works well in this recipe. 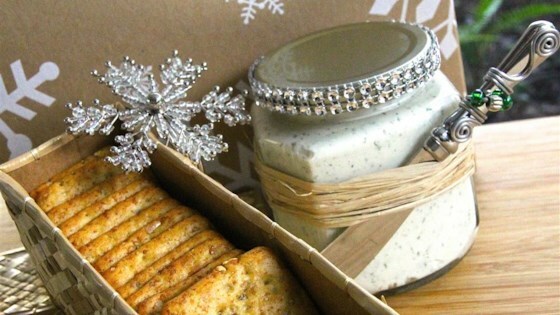 Delicious spread on crackers or as a fill on celery sticks. Good shelf life in the refrigerator. This can be eaten right way, but it's best if refrigerated for at least one day before serving." Mix cream cheese, garlic, vermouth, parsley, salt, basil, tarragon, sage, and white pepper in a food processor until smooth. Refrigerate at least 1 day before serving. Be the big cheese of the party! I didn't have vermouth so I substituted Red Wine Vinegar. Came out awesome! This was very easy to make and everyone loved it!! This spread is really yummy on crackers! I enjoyed having a homemade version of such an expensive cheese.